Well, it appears that the official US government background checks on Middle Eastern immigrants are not that effective. No surprise there. 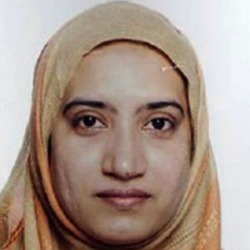 US immigration officials carried out a background check on Tashfeen Malik (from Saudi Arabia, although born in Pakistan), the Muslim terrorist who, with her husband (Syed Rizwan Farook, American-born of Pakistani ethnicity), murdered 14 people in San Bernardino, but they uncovered nothing untoward. In fact, just to make it even more astonishing, the US government did three background checks on her, and still found nothing! Let’s face it, with limited resources, it can be very hard for any government department to carry out thorough background checks on a million immigrants. Indeed, even the most thorough background checks may not reveal terrorist connections. Therefore, it makes far more sense simply to limit immigration to countries which are not hotbeds of Islamic fundamentalism or terrorism. If you allow ten thousand White people to immigrate from Canada or Switzerland, instead of allowing in ten thousand Arabs from Iraq or Syria, you are far less likely to be bringing in any terrorists or radical fundamentalists. That’s just plain common sense. So why is the US government planning to import hundreds of thousands of Middle Easterners into America? Even though there will be an unknown number of Islamic terrorists amongst them? And even though it is a certainty that there will be thousands of Muslim fundamentalists amongst them? It doesn’t seem to make sense. But it’s happening, because there are different agendas at work here. People who want to keep their people and nation safe. These people are willing to use common sense measures to minimise the risk of Islamic terrorism, such as halting the flow of Muslim immigration. Nationalist Patriots also wish to ensure the survival of their nation (i.e. a homogeneous population, sharing similar values, culture, history, and traditions, and all living within the same country. White Nationalist Patriots are therefore against Third World immigration. People who intensely dislike the idea of any nations existing which are predominantly White; and therefore wish to import as many people as they can from the Third World, so that Whites will become a minority as soon as possible, leading to their eventual disappearance from the face of the Earth. They believe that the disappearance of all distinct races is a wonderful goal to be strived for, to create a worldwide population of brown people, a new master race to supplant all of the existing racial diversity of mankind (even though their propaganda says they support diversity); and they will work towards this goal, no matter how many people are killed in the process. There also exists a third agenda, which shares elements of the other two. 3) The Civic Patriot agenda. 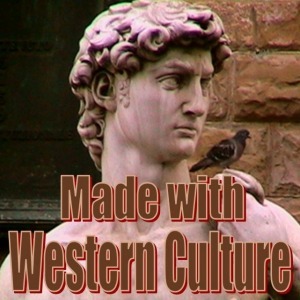 People who wish to maintain a country’s values, culture, history, and traditions, but who are quite happy to see the Nation destroyed; that is, they want to maintain their country’s way of life, but are happy to have Third World immigration, so long as all of the immigrants assimilate and conform to the country’s existing culture and values (or near enough). The Civic Patriot agenda is, of course, fatally flawed, because when any sizable amount of Third World immigration comes into a White country, the way of life will invariably change (and not necessarily for the better). Even though they may deny it, Civic Patriots are just a more insipid type of Multiculturalists, except that they propose a slow death for the Nation instead of a quick death. The US government of Barack Obama works under a Multiculturalist agenda, and that is why they insist upon having a large influx of Muslim immigration. They do not care that some people may die as a result of this influx, so long as hundreds of thousands of Third Worlders pour into the country. If you care for the future of your people, then be loyal to their ongoing existence, and work against the evil machinations of the Multiculturalists who seek the death of your Nation. this is not something you do for yourself, it is something you do for the generations to come. If you are full of hate against White people, and want demographic genocide, then join the Multiculturalists. If, on the other hand, you love your own people, and want to see them survive into the future, then become a Loyalist and work for the survival of your own nation.